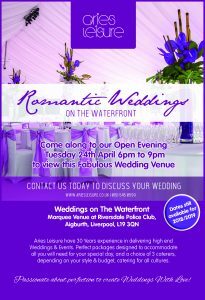 Looking at Wedding Venues in the North West? Trying to decide between a Hotel Wedding or Marquee Wedding? Now the biggest decision is to have the wedding in a hotel or marquee? The choice of Venue is a big factor, with regards to location & outlook: parking, is there outdoor seating area if it’s a nice day, where can the guests stay? what time of bar licence? is there enough room for all of my guests? do i like the decor? food & drinks prices. Maybe your head is spinning looking at various venues from hotels, to village halls, sports clubs etc. 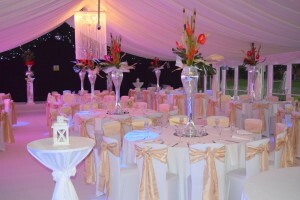 Wedding Marquee Hire North West of your choice…. Are Guests to be seated or standing or a mixture. Do you require a dance floor. Do you require a reception area. Do you require a bar area. Decor – we can incorporate any theme Vintage, Rustic, English Country Garden, Modern or Classic, we incorporate any colour and work with you to create your choice and design. Pinterest is great for some ideas on design on Wedding Marquee Hire North West. Another factor is power, if the power can be taken from a building this will save the cost of hiring a generator, if not we can provide a generator to power the whole event. Toilets – Toilets can be hired in. The most important factor is Budget. It’s up to you how much you want to spend. Hotels can be expensive with regards to food & drinks. You have more control on how much you want to spend and we can work with you inline with your budget.